We cover a ton of calendar apps and widgets at AndroidGuys, but what can we say? They’re functional, pretty, and they’re all different. UpNext is a widget, not a calendar app, that gives you a detailed look at your day as it goes by. Most agenda calendars give you a glimpse at your next event from day-to-day, and that’s about it. Where UpNext differs from the lot is that it gives you current event info for your entire day. When you have some spare time in between two events, UpNext will let you know the amount of time you have to spare. Not only that, but it gives you the amount of days you have off until your next event, as well. It’s super functional, and it’s what more calendar apps should do. 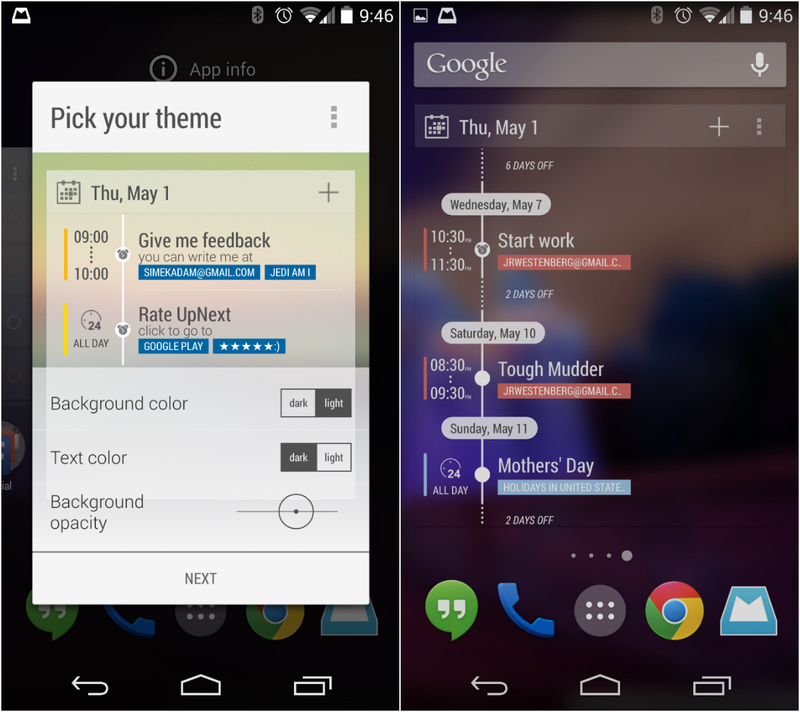 The free version lets you customize the look and feel of the widget. If you want to choose which calendars are selected to show, you’ll need to upgrade to the $1.59 premium version. If a more functional calendar widget interests you, grab it from the Play Store today! The post UpNext is a simple calendar widget that’s focused on your next task [App of the Day] appeared first on AndroidGuys.